Besides happily dropping my hard earned pennies off at the register in Zara (I'm beginning to think that the employees assume I live in their fitting rooms), I'm also investing in skincare. Leaving the makeup at the counters, I'm drifting more and more towards high end brands to provide perfectly glowing skin. I had my acne sorted out by a specialist about two years ago, my video on those products is still my most watched YouTube upload. The spots that remain are mostly hormonal. But often my skin is looking lackluster and a little bland. 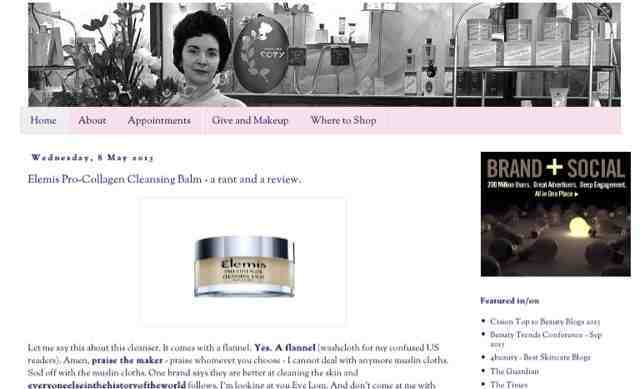 I try to find products that properly cleanse and take care of my dehydrated skin. Aiding me in my search for the perfect skincare is Caroline Hirons. Many have sung the praises of her blog. She's a skincare industry insider that isn't afraid to tell you if a product is crap or gold. I thoroughly enjoyed her face cleansing cheat sheets. I had no idea I was doing it all wrong.